AL Gurashi Provide New Tracking Global communication System for Fleet Managements Technology combines basic tracking with sophisticated security and vehicle diagnostics. 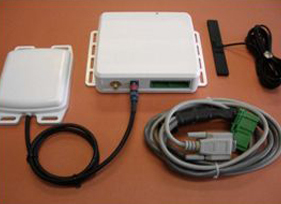 We use multiple satellite, GSM and cellular systems in order to enable a highly cost effective global solution. Our proven value proposition enhances fleet utilization, while providing increased control and dramatically improved customer requirement. 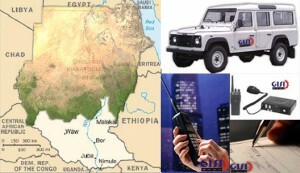 GISI have an advanced means of communications (base station-mobile radios & walkie talkies) covering 18 main towns :(Khartoum, Obeid, Kosti, Port Sudan, Gedarif, Kassala, Sinner, Muglad, Nyala, Fasher, Geneina, Ed-Deain, Babanosa, & Rahad, Higllig, Bentiu, Rabcona, Malakal) and 6 mobiles VHF/SSB communication system for the follow up of any cargo operations, and also GISI is ready for establishing new stations for communication when needed, these equipment are under the direct supervision of well qualified staffs. GISI have developed the means of reporting system in all its field offices (daily situations reports) because we consider the reports are the main factors for such operation. We also have capable staffs for handling that issue. As any transport operation needs a very close follow up, have set up qualified field monitoring teams, equipped with all the request means of communication equipment for follow up of on-going programs. These teams had executed several relief food movements in different Environment, and to different Locations. GISI have permanent field offices located as mentioned above these field offices are well equipped with all means of communications, follow up, and reporting systems. Qualified staff is assigned for the supervision and representation and to coordinate with the local authorities for the benefit of the programs. Other new offices can be established for covering any requirements or activities for new programs.